Today, KMADD is hosting a sim-reopening party! 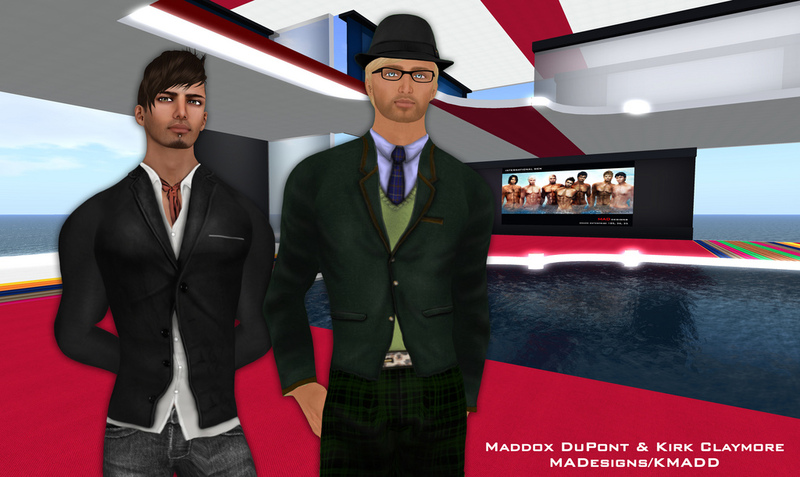 Called “the male fashion capital” in Second Life, KMADD is dedicated to the appearance, fashion and style of men. I’ll be DJing the KMADD Party at 4pm PST | 7pm EST in Second Life at KMADD City (SLURL: http://slurl.com/secondlife/Kmadd%20Enterprise/185/190/26). Come and join the festivities! This entry was posted in Events and tagged Fashion, KMADD, Second Life. Bookmark the permalink. Education of the different and variant spheres is very important and vital it is improvement of the skills and enhancement of the capabilities. It is very oriental and significant. The aspects and effects are joined and utilized. This article is especially for the men becaue KMADD is hosting a sim-reopening party! Called “the male fashion capital”. So many men confused in the selection of fashion according to the latest fashio trend. Now It's easy for them to select fashion with the help of KMADD. We should use latest technology to make our work easy and impressive. Any how, I want master can write my essay 4 me but as a man like to get some tips to use KMADD. We can provide personal statement writing for you at any stage of your work, no matter if it is not written or simply needs expert's revision. KMADD is hosting a sim-reopening party! Called “the male fashion capital. KMADD has good name among Fashion industry and here detail of the party with valuable source links mentioned. I actually want essaywriter.org review for me but my next eassy on the topic of Fashion and for this purpose this website is good. KMADD, of course, belongs to the men. It reminds of school life because of this Sim Reopening Party. So get an exclusive writing service http://www.apexessays.com/. good the emulator when it is set up. Undergo the action process that would certainly appear during the installation. Currently, best. The post is absolutely fantastic. Lots of great information and inspiration, both of which we all need. Also like to logo design admire the time and effort you put into your blog and detailed information. This concept is a great manner to enhance the understanding. i love it and help me to development very well. It makes tracks in an contrary course from the noise of every day and offers me extra tiers of possibility in which to assume.